Japanese Teppanyaki style steak with traditional Argentina sauce. 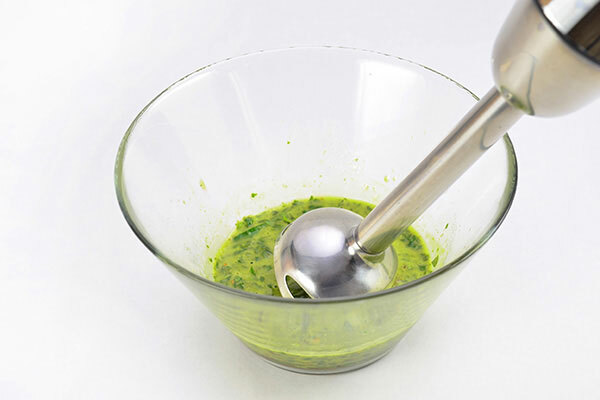 Prepare the chimichurri sauce. 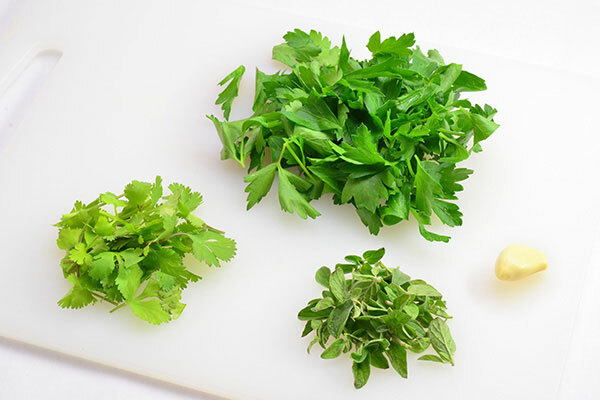 Trim the long stems and roughly chop parsley, cilantro and oregano. Peel the garlic clove. Purée all ingredients with a hand blender or a small food processor. 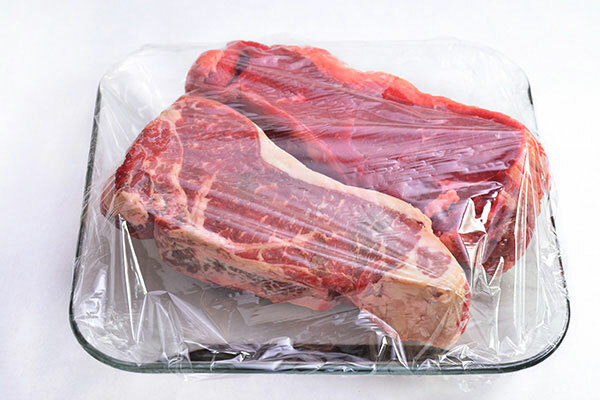 Set aside at room temperature. 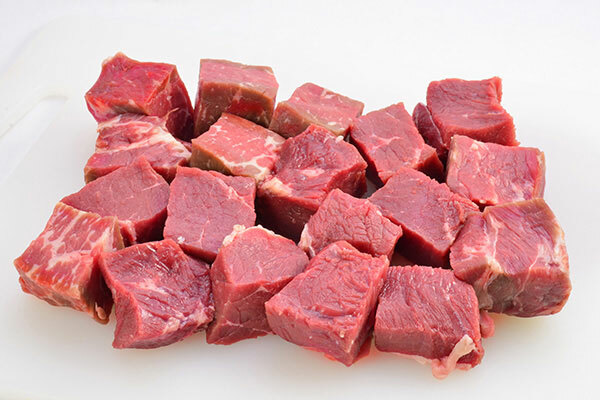 Trim large fat from steaks and cut into cubes. 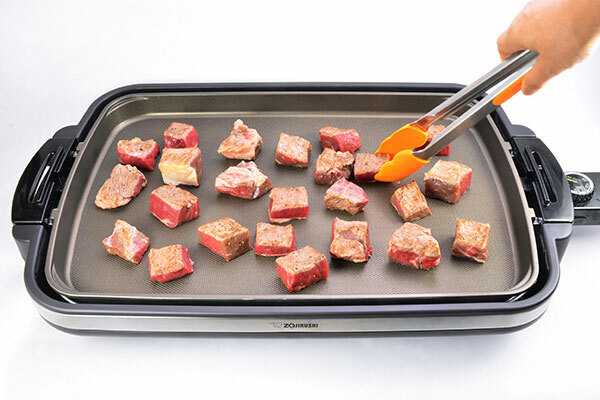 Coat steak cubes with vegetable oil. 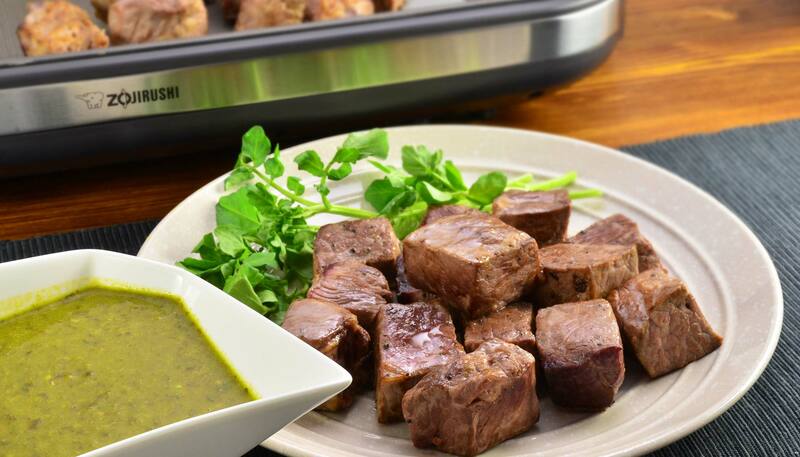 Turn the Gourmet d’ Expert® Electric Griddle (EA-DCC10) control knob to 400ºF. 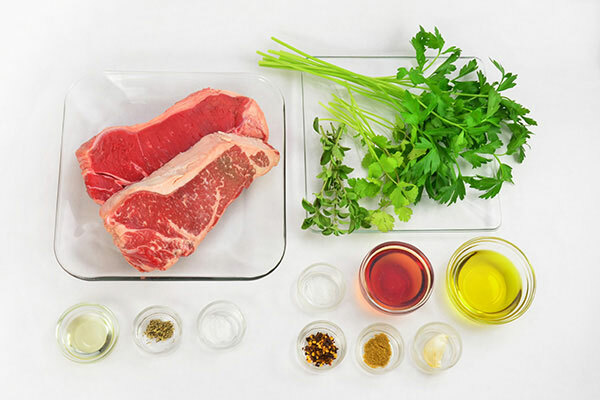 When the pilot lamp turns off, season steak cubes with salt and pepper, then place on the grill and cook for 30 seconds on each side. Turn off heat. 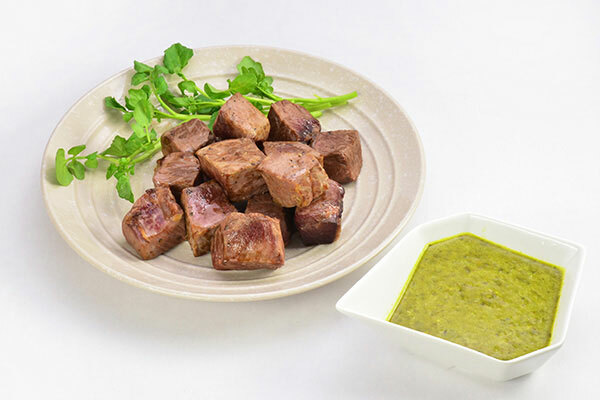 Serve steak cubes with sauce. Enjoy!